While most people around the country were enjoying their Columbus Day off from work, many residents of St. Louis were on the front line protesting against the unfair treatment they’ve been receiving from the local authorities. The shooting death of Mike Brown in Ferguson, in addition to the recent shooting death of 18-year-old Vonderrit Myers Jr. has added more fuel to the uproar that has not yet clammed. To make matters worst, over 50 people were arrested (including Dr. Cornel West) yesterday while protesting so I don’t see things calming anytime soon. Throughout the day, other groups occupied St. Louis city hall, shut down two Walmarts, chanted outside a fundraiser for a local politician, and unfurled banners reading “black lives matter” at a St. Louis Rams football game. One person was arrested at St. Louis city hall, police said, and a Reuters witness saw three more people arrested as 150 protesters chanted at the Walmart in the small inner suburb of Maplewood. Over the weekend there were marches, rallies, vigils and teach-ins in Ferguson and St Louis and organizers livestreamed events to show that there was no violence or looting. 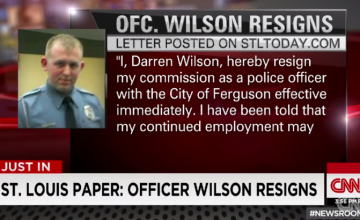 The officer who shot and killed the 18-year-old Brown, Darren Wilson still awaits charges from a grand jury. Protesters are demanding a swifter process in charging Wilson. Related ItemsDarren WilsonDr. 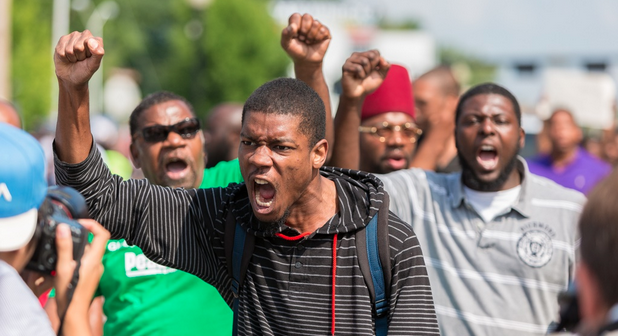 Cornel WestMike Brown in FergusonVonderrit Myers Jr.